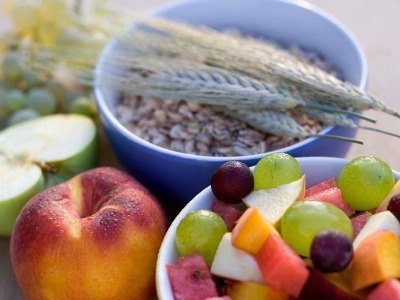 If your diet lacks fruits, whole grains and vegetables then odds are that your body isn’t getting fiber necessary for a good health. Some obvious signs of lack of fiber in the body include constipation, weight gain, blood sugar fluctuations and diet-related nausea/tiredness. If you suffer from these problems then you need to increase fiber in your diet to prevent any health related issues. If you are not a big fan of fruits then you need to bring a radical change in your belief system and start loving fruits as they are rich in fiber and a perfect remedy to your problems. Among fruits, it is advised that you go for oranges. Orange pulp is an excellent source of fiber – a fact which most people are not aware of. Most of the natural foods that we eat have some sort of skin on them and you will get more fiber from them if you leave the skin on while eating. This might sound difficult but you need to stop peeling the skin off your potatoes before eating and learn to eat them as they are. Exceptions can be made in some cases but consider consuming as many vegetables and fruits with their skins on. This might sound crazy but seeds are rich in fiber and you need to start eating them. Many fruits and vegetables that we eat have seeds that we throwaway – wasting them. Take the example of apples – they have seeds which can be eaten and help add fiber to your diet. Over generations, people have been consuming white bread for breakfast. However, it is very important to eat whole grain bread instead of white bread. The main problem here is that white bread is not rich in fiber while whole grain bread is a great source of it. If you simply replace your white bread with the whole wheat variety, you will start seeing results in a couple of weeks. Replace meat with vegetables in your diet – although not entirely. There isn’t much fiber in meat, so instead of having meat 4 to 5 times a week reduce it to 2 and prefer vegetables over it. There are several varieties of husk in the market which can be taken with a glass of water and considerably improve digestive problems. Regular intake of such fiber helps reduce cholesterol levels, just like the fiber you take with food. Next post How Does a Painkiller Work?